He looks just as advertised. I’m really hoping Ericsson has finally found someone he can play with. Insane that EP and Eriksson played under 10 minutes while Motte played 21. Goldobin at 7. This is going to be an extremely boring team if Green is allowed to coach this way (he will). This whole season is just going to be "stuff EP does." When he faked the pass to the point so the guy would move his stick and then banked in a goal off Horvat's stick. That was cool. It'd be a massive disappointment if he doesn't win the Calder. If he can keep up a realistic pace, he has a very real chance of legit being in the Lindsay and Hart conversations. Welp. Another failed season boys. King Ryan wrote: Welp. Another failed season boys. 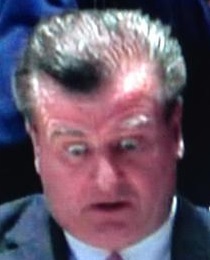 Every season with Benning in-charge is a failed season. Going to my first Canucks home game on Saturday so yay me.